The women’s wealth gap has been largely overlooked in discussions of women’s economic security, yet wealth is the most comprehensive indicator of financial health. 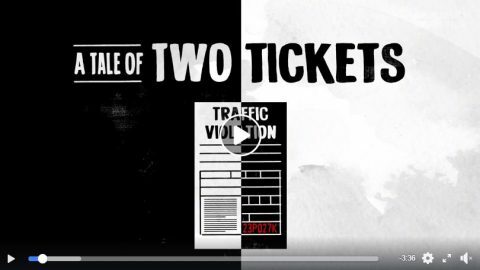 Without wealth, families are one paycheck away from financial disaster. 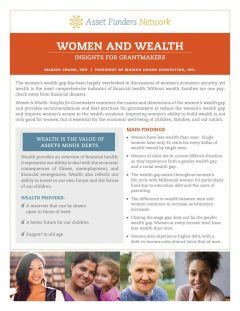 The brief Women and Wealth: Insights for Grantmakers examines the causes and dimensions of the women’s wealth gap and provides recommendations and best practices for grantmakers to reduce the women’s wealth gap and improve women’s access to the wealth escalator. Improving women’s ability to build wealth is not only good for women, but is essential for the economic well-being of children, families, and our nation. 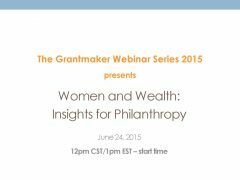 The webinar, included Mariko Chang, PhD, K. Sujata, President and CEO, Chicago Foundation for Women, and Dena L. Jackson, PhD, Vice President – Grants & Research, Dallas Women’s Foundation. 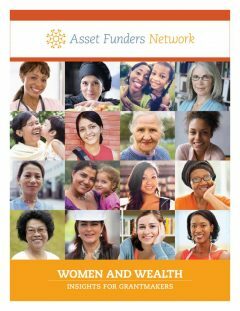 Further resources associated with the webinar and included here are the report by the Dallas Women’s Foundation about the Economic Issues for the Women of Texas, as well as the website for the Dallas Women’s Foundation. 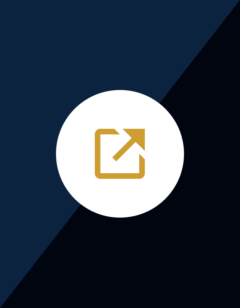 Access the publications by the Chicago Foundation for Women on this topic, and visit the Bolder Advocacy website to learn more about the legal aspect of mending the women’s wealth gap through nonprofit support. 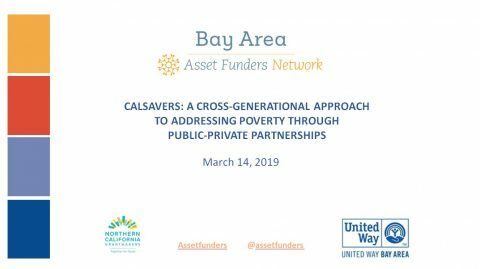 Of additional value are the videos, Closing the Women’s Wealth Gap and TedxTalk: In Search of the Golden Years, both of which deal with the content discussed in these materials and feature Elena Chavez Quezada, AFN Steering Committee member. These resources are sponsored by Dallas Women’s Foundation, Chicago Foundation for Women, and Levi Strauss Foundation. Author: Mariko Chang, PhD, President of Mariko Chang Consulting, Inc.